The Yakult Lady system of door-to-door distribution was created in 1963 in Japan to help customers fully understand the health benefits of probiotics and bring Yakult products to them every day. Yakult has successfully used this system to deliver its products worldwide through a network of over 80,000 ladies across the globe. The System is not just about sales, it is a reflection of the company's business objective of promoting good health by personally taking the product to the customers. 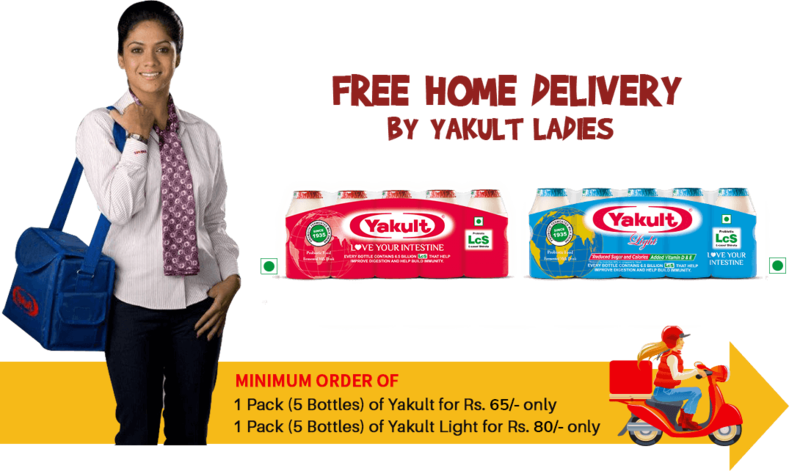 Yakult Ladies are pleasant, dynamic women, propagating good health and delivering Yakult at your doorstep across Delhi/NCR, Jaipur, Chandigarh, Mumbai and Pune at no extra cost.